In the purest watchmaking traditions of Longines, the watches in the Record collection combine classic elegance with excellence, aspiring to become the spearheads of the brand. These exceptional timepieces, whose movement includes a silicon balance spring featuring unique properties. 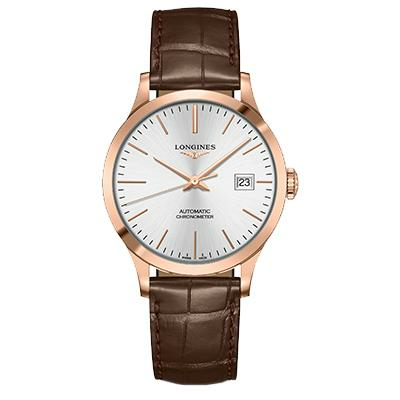 Longines is now introducing new variations in rose gold or in stainless steel and rose gold, certified as “chronometers” by the Swiss Official Chronometer Testing Institute (COSC). Through its Record collection, Longines expresses its very essence, combining timeless elegance with uncompromising excellence, a guaranteed recipe for success, representing a bridge between tradition and innovation. 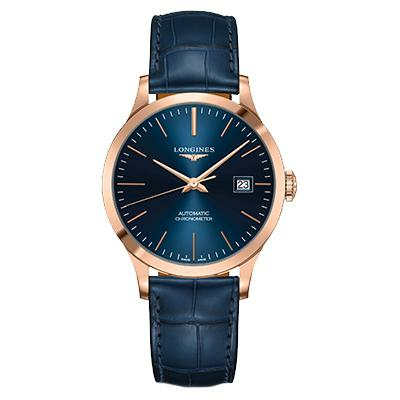 Longines now offers new models adorned with rose gold to further enrich this resolutely classic collection – the epitome of the expertise of the Swiss watchmaker – making them appeal to men and women with discerning taste in watches. The Record collection features two separate and distinct sized calibers and in order to enhance the accuracy and longevity of its timepieces, Longines integrates silicon balance springs into its movements. This lightweight material is resistant to corrosion, and is unaffected by normal temperature variations, magnetic fields and atmospheric pressure. Such excellence deserves recognition. Thanks to their extreme accuracy, the watches in the Record collection have been awarded “chronometer” certification by the COSC (Contrôle officiel suisse des chronomètres – Swiss Official Chronometer Testing Institute). Equipped with automatic movements, all of the timepieces were tested separately by this neutral and independent organization, and are authorized to have the designation “CHRONOMETER” stamped on the dial. Bestowed with a high degree of added value, these certified “chronometers” now join the ranks of truly exceptional timepieces. The watches of the Record collection are available in four sizes (26, 30, 38.5 and 40 mm) and a variety of dials, and are intended for men or women. The stainless steel and rose gold or 18-carat rose gold case features a transparent back that allows for admiration of the detail of the movement. 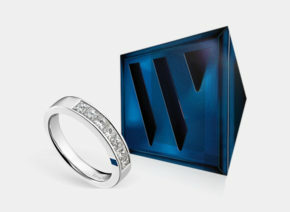 Some models also offer a version inlaid with diamonds. 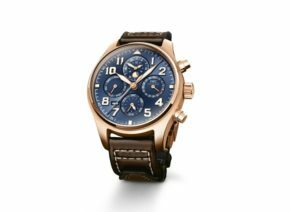 The watch is available with a stainless steel bracelet with a rose gold cap, or with a black, brown or blue alligator strap matched to the dial and equipped with a security folding clasp. An annual calendar for the Longines Master Collection A demonstration of the watchmaking expertise of Longines. 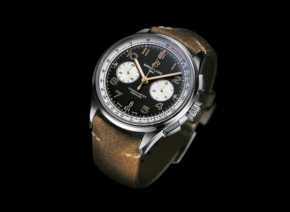 Die Breitling Premier Norton Edition verkörpert die Partnerschaft zwischen zwei legendären Marken, die sich durch eine faszinierend ähnliche Geschichte und ein eindrucksvolles Vermächtnis auszeichnen. Die Uhr drückt den Stil und die Leistung aus, die von einem Hersteller raffinierter Schweizer Uhren und einer Motorradmarke, die für ihre exklusive britische Technik berühmt ist, erwartet werden. The blue precious stone is synonymous among jewellery connoisseurs with stylish and timeless jewellery design.